Now Pakistan Super League season 4 has been finished and it gave us plenty of moments to remember them for long time. now the league is finished and it is time to reflect some best moments from PSL this year. This year, many highest innings were experienced to watch in which Multan Sultans scored over 200 runs and they set the huge target for Lahore Qalandars, which they achieved successfully. The viewers watched the scintillating partnership between South African players like Ab de Villiers and David Wiese. On the last ball of the match, Lahore Qalandars needed three runs and David Wiese was on the strike and he hit towering shot over the boundary line and he got six runs on the ball and he got the target. Captain of Quetta Gladiators, Sarfaraz Ahmed smashed the last ball six on the ball of David Wiese of Lahore Qalandars and he contributed in the victory of his team. There is another South African players like Colin Ingram, who became the first overseas batsman, who scored century in the history f PSL. He made fastest 127* to down in form Quetta Gladiators. Muhammad Husnain is the new speedster and he impressed the cricket fans. He has shown tremendous performance in various matches and led his team to the victory stand. Peshawar Zalmi played the match against Lahore Qalandars on 5th March and Misbah ul Haq performed well and he scored fifty. He was playing under pressure and he faced the brilliant spell of Shaheen Shah Afridi and he made record breaking 59* to save the match. Muhammad Sami is the captain of Islamabad United and he has done his hat-trick against Peshawar Zalmi and he made this wonderful hat-trick by defending only 19 of the last over. 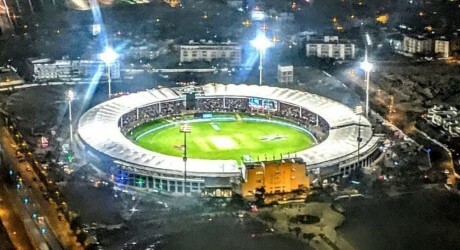 Karachi Kings was playing the league match against Quetta Gladiators in National Stadium Karachi and Quetta Gladiators approached near to the target. Usman Shinwari became biggest hurdle and he did not allow them to get the target and also claimed three wickets in the same over, resultantly Karachi Kings won the match easily. He had to defend only 5 runs and at the end of the over, Karachi Kings won this match by 1 run. Shane Watson, the Australian opener hit wonderful six over the last ball of Wahab Riaz. This six made Sir Vivian Richars stunned on this unbelievable six. Shaheen Shah Afridi is the leading bowler of Lahore Qalandars and he took the wicket in a match and he celebrated it in the style of Wahab Riaz, which was one of the best moments of PSL this year. It is absolutely wonderful and praise worthy and Danny Morrison is the legend, who have performed well.